You can now access the call for applications. 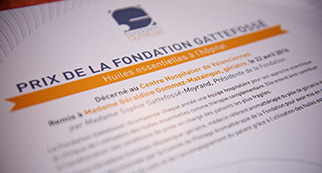 Each year, in the interest of improving treatment conditions for the most vulnerable patients, the Gattefossé Foundation awards the “Essential oils and clinical applications of aromatherapy” prize and grants to recognize and support medical establishments and initiatives. The 2019 call for applications is open until January 30.